Planting a garden hasn't been all rainbows and unicorns! 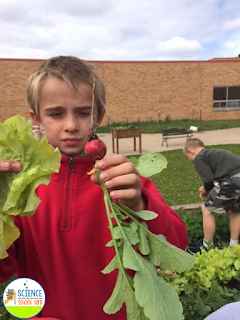 There are a lot of problems that can come up when you plant a school garden with kids. Today, I can't wait to share with you some common problems we faced in our school garden and some solutions to get you on the right track! Problem 1: Take for example when seeds do not germinate! That is the worst thing when kids are waiting for their little seeds to have a little sprout growing from it and it never happens...you have to figure out what to do and my suggestion is to teach a lesson in germination. You can also create an anchor chart prior to planting that helps them understand what seeds need to grow. Another thing you can do then is to discuss why a seed did not germinate. I do that before we even grow a plant as a type of check off list we can refer back to which helps us go back to that anchor chart to predict and make judgments. It really helps your learners understand what might have occurred. Quick Tip: Once again take the opportunity to have a teachable moment such as teaching the life cycle or what plants need to survive. Head back to an anchor chart that you create with your students! It really is a great way to reference! 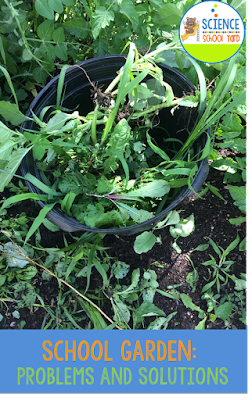 Problem 3: Shall we talk about weeds! Weeds....weeds...and more weeds!!!! There are always weeds to contend with! 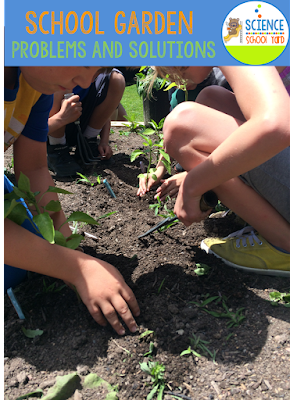 Quick Tips: There are great lesson, but when kids pick the plants instead of the weeds there is another problem within a problem. Pick the weed you want them to get for you. I then have them focus on just that weed. 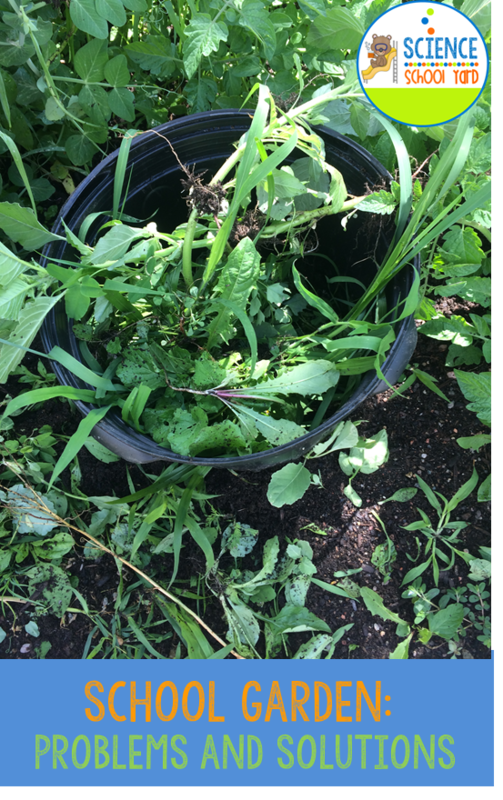 You can give each group a different weed to pull, but remember to help them by teaching them leaf structure. You will always have someone pick the wrong thing, but that is a lesson in itself! Problem 4: All your plants are growing who is going to watch them who is going to pick the vegetables? 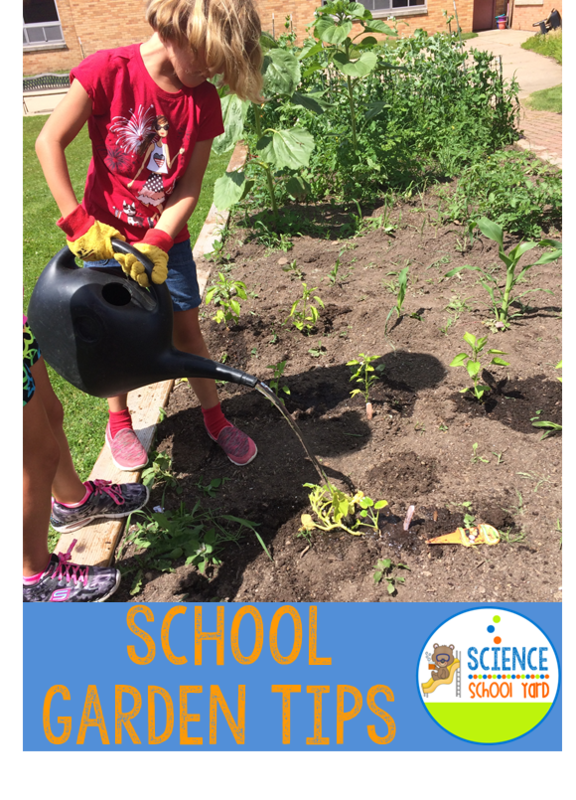 Without a team trying to figure out how to harvest those vegetables and maintain watering them and all of the other things that come along with growing a school garden can get overwhelming! 1. Remind 101 is set up for parents that sign up before school is done to come in and weed, water, and pick. The reward is to take vegetables home. I remind them what to take home and what to let grow. 2. Teach a summer garden class. Each Monday, six weeks out of the summer I teach a garden class. 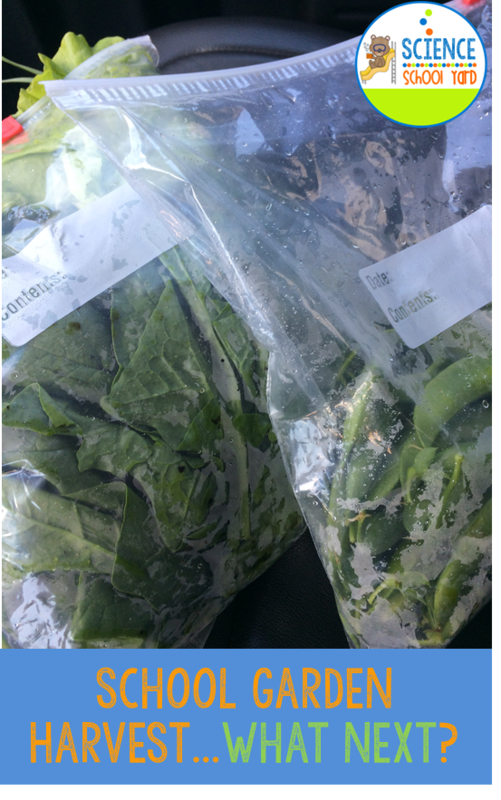 I teach STEM and science lessons and then we weed, plant, and harvest. This helps teach students what the process of growing a garden is all about from start to finish. 3. Have Americorp help you or other agencies looking to volunteer and help. They are always looking for volunteer hours and I have had great success with volunteers. Check your local garden clubs, Master Gardeners, and University Agriculture classes, too! One more quick tip that I always get asked...What do you do with all of the vegetables you harvest? 1. We do ding dong ditch with a special garden note on it so when we go to neighborhood homes they know where the veggies came from. 2. I go to our local food pantry, donate, and then take a picture of them receiving it...we want to teach paying it forward. 3. I know where some of my poorest families live as well as our low income housing apartments and I actually like the ice cream truck open my trunk of my car and give out bags of vegetables! They know my car by now and come running! I had to figure out how to divy out the vegetables because they actually remember from week to week who got the "cabbage" or "zucchini". 4. I harvest and bag and I leave them at the front of the school with a sign, please take one! I also go to our local pool that is right behind the school and find families to give food away to! 5. We also plant a ton of vegetables that will be harvested for our school lunchroom. So whether it is our egg roll garden or our coleslaw garden, the cabbages and carrots will wait until our kids get back. Our popcorn garden and pumpkin patch can wait until fall! We replant our peas and pick our beans all season as well as lettuce and kale! Are considering a school garden? 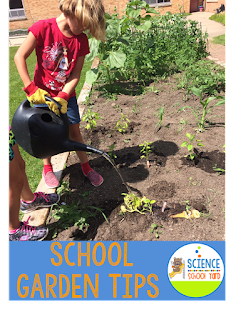 I want you to know that planting a seed does really help kids grow, but you also have to take into consideration all of the other components that make a school garden successful. When you have those all in place before you even start putting a seed in the ground you can find out that a seed is truly magical.